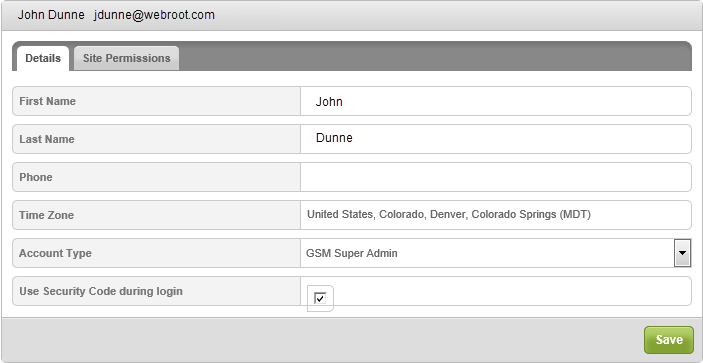 On the Admins panel, users can create view, edit, and delete GSM admins. From the Sites console, click the Admins tab. Name – The name of the admin. Email – The email address of the admin. Double-click an admin to view additional admin information. The system displays admin information. 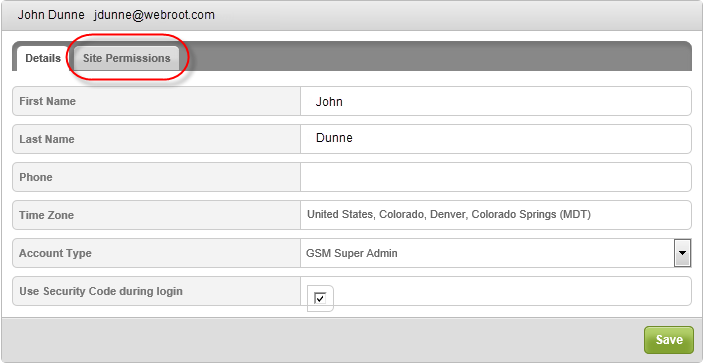 First Name – The field is editable. Last Name – The field is editable. Phone – The field is editable. Time Zone – Click the pencil icon to edit the information. No Access – User cannot view detailed information. View Only – User can view detailed information and manage sites for whom they have been given permissions. Admin – User can view and edit detailed information and manage all customers. To change password information, click Change. This step is optional. The system displays the Change Password window. In the Current Password window, enter the admin's current password. Then in the New Password field, enter a new password. In the Repeat New Password field, enter the password again, then click Change Password. To change the security code, click Change. This step is optional. The system displays the Change Security Code window. In the New Personal Security Code field, enter a new security code. In the Enter Password field, enter the admin's current password, then click the Change Security Code button. To change the security question, click Change. This step is optional. The system displays the Change Security Question window. In the New Security Question field, enter a new security question. In the New Security Answer field, enter a new security answer. In the Enter Password field, enter the admin's currect password, then click the Change Security Question button. When you are finished editing information on the Details tab, click the Site Permissions tab. 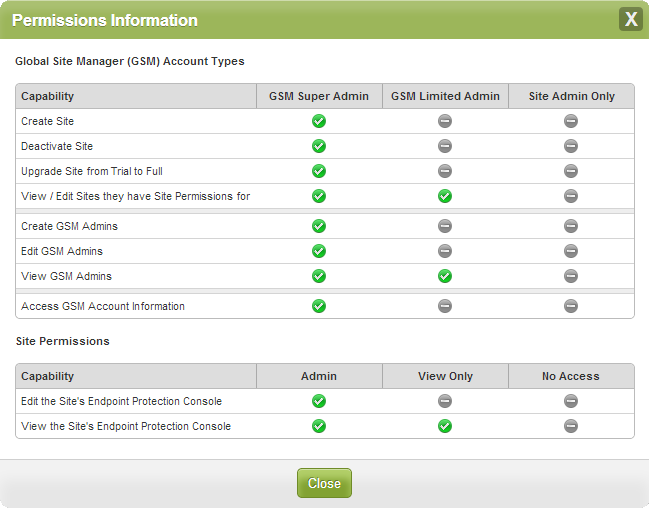 The system displays the Permissions Information window.